Ona, as she likes to be called was born on December 18th 1984, with the strength and will to conquer anything. She tells me, "I'm a person who is often misjudged and underestimated by society. I'm a very petite lady. Trust me, I am PETITE, but that doesn't bother me... guess I'm just born with some unique inner strong faith and character." Ona's inner strength is apparent. 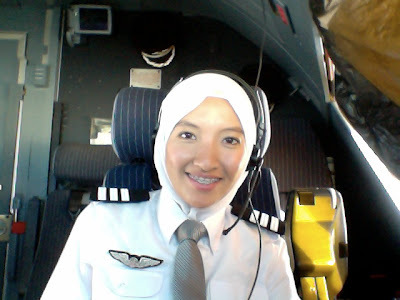 Her dream to become a pilot began when she was ten or eleven years old. Her interest was sparked as she watched aircraft takeoff and land and the excitement of the sound of engines, whether spooling up or down, has never board her. "I just love to watch airshows." Her initial ambition was to become a fighter pilot. She applied but tells me her "destiny was not there." 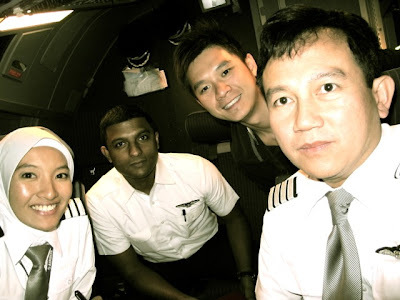 She joined the commercial aviation academy in 2004 - MFA: Malaysian Flying Academy, located in Malacca. WMKZ. Mid 2005 she joined Air Asia Berhad - call sign Asian Express - in 2006, and flew the A320 for three years. She is now on the A330 with their sister company Air Asia X - call sign Xanadu - a low cost, medium to long haul operation. 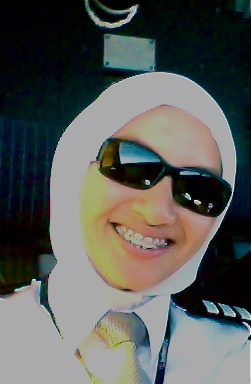 In 2009, until present she is flying as a first officer. Ona currently has a total of 4400 hours and there are 18 pilots with her company. Three or four in FireFly Airline, two with Berjaya, and a lot of pilots in their RMAF - Royal Malaysian Air Force. Karlene: Ona, you've achieved so much in your life. Did your family support your dream to fly? 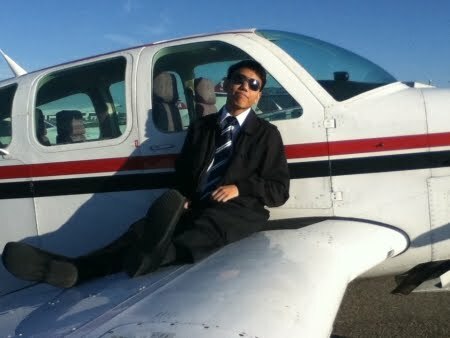 Ona: My parents did support me for my flying school, which I am thankful for that. Because they know my dream is to become a pilot. In my room there is nothing but posters of airplanes, books on both military and commercial flying, and airplane models. Karlene: You have passion, and your family supported you. But every life has challenges. How about yours? Ona: Yes, I have faced quite a few challenges in life both personal and work wise. At first only few believe that I will achieve this dream. That would be my parents and cousins. Teachers, public, few friends, few family members, and boyfriends never did believe in me. But then again, it doesn't bother me. Karlene: I smile when I hear you didn't listen to those people who didn't believe in you. I didn't listen to those who told me I couldn't do it, either. How did you overcome the doubt in others? Ona: I am the only one who knows my capability, and how strong I am mentally. It's just built in me, that if I want something I will go all out and achieve it. If I have to blood it out. I will. That is my principle. I take my job seriously and I am very professional when it comes to my job and flying. Karlene: That is an excellent principle to live by. What do you think your greatest strength in proving you can do the job is? Ona: Well if flying, of course people wouldn't believe that I'm a pilot because of my size and my looks. The only way I can prove to them that I am capable in doing this, is by knowledge, how I work, and my performance. Karlene: Knowledge and performance is the best way to prove to anyone you can do the job. Have you ever had a problem with keeping your positive attitude? Ona: I had my downfall late last year. I was being grounded. I had some incident. I was being grounded for 3 times in a short period of time. I was depressed, angry with myself, took my weight away. Because I know I am not like this. And I'm not expecting this in my career. I take a step back, to breathe, to see the bigger pictures. One thing I like about my own system is that I turn negative feedback and build it as my core strength to get up again. And say to myself... I will shine again one day. The harder I fall, the higher I will bounce back up. I have faith Karlene, mind my English. Karlene: Your English is great. I really like the image of bouncing higher the harder you fall. That's a great way to live life. Ona: Because of my faith and high determination I just SMILE, and never ever give up. I'm the type I care less what people say about me. Yes I am slow in learning. But I never fail to try and understand the aircraft system, procedures, etc... You and I both know there's a lot to read up right? Karlene: Yes. I do know that. I also know from your emails there is a lot more to you than meets the eye. You're all woman and pilot. Bottom line is, women are different. We're made different and our multi-focused minds gives us full lives inside and outside the cockpit. We have so many challenges, more emotions, and expectations. Maybe that's why we understand the Airbus... she too is a woman. So, tell me more about the personal life challenges. Ona: If I elaborate on my personal challenges, that's another book to write. Hahhaha. It is hard for me Karlene. So hard. But the guts in me, made me stand and where I am now. Because I told myself I wanna be apart of the aircraft. I wanna feel the aircraft. Aviation is my world. And hey I bake cupcakes too. Lately I'm in to cooking. And I love cats. I have 12 of em. 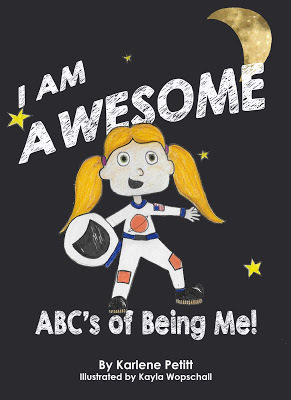 Karlene: I do know how hard it is to deal with personal challenges while keeping up with the massive studies that it takes to learn such a complex airplane. Despite all your challenges, you know who you are and what you want in life. You're not afraid to go after it. We all make mistakes, but you have your priorities in focus with your professionalism and always increasing your knowledge. By the way, I bake too. Karlene: I know you are. You are an amazing woman and an example to everyone that anything is possible if you have the right attitude and confidence. We'll get together one day and write that book on your life. It will be a best seller. Thank you so much for joining us today and making this Friday extra special because you were here. Last week we had the opportunity to meet Bob Yerex, and as promised we get to see what he has that will increase aviation safety. That old saying, "A picture is worth a thousand words" couldn't be more true. While Bob and I discuss Max-Viz, you'll be amazed at the photos with and without EVS. Karlene: Bob, last week you told me that the Max-Viz Enhanced Vision Systems (EVS) was designed to improve aircrew Situational Awareness (SA), and ultimately operational flight safety. Can you tell all of us how this system works? Bob: EVS, or Enhanced Vision Systems, provides a supplemental display of real world cues that would otherwise not be visible due to darkness or reduced visibility caused by weather or atmospheric effects. This improved situational awareness enhances judgment and decision making, thus increasing operational efficiency, and improving safety margins. Karlene: You’ve mentioned situational awareness twice now, so I feel compelled to ask you how this system improves SA. Because, as we both know, it doesn’t matter what aircraft you’re in, or the area of operations, we all depend upon situational awareness to keep us safe. Bob: So true. 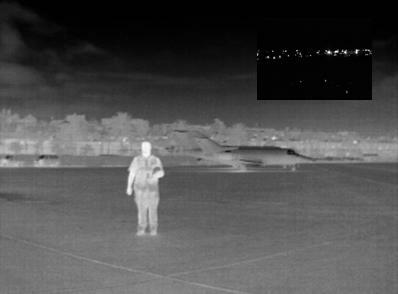 The system is designed to provide improved situational awareness by allowing rapid scene content assimilation from relatively brief image scans. Image use is similar to out-the-window visual scanning where general scene observations can be made, followed by specific object examination if required. Both peripheral and fovial scanning techniques are used, in a very conventional and natural way, along with routine, natural, divisions of attention and cognitive switching. The EVS image is used to supplement and augment the normal visual scan and information obtained from the EVS image is used in a similar manner as that of real world viewing. Karlene: Excellent! You have me sold. Can you tell me how it works? Bob: In its most basic form, EVS is an electro-optical system consisting of an Infrared (IR) camera, supporting hardware, cockpit displays and system controls. The image can be displayed on Multi-Function Displays (MFD), Control and Display Units (CDU), Primary Flight/Navigation Displays (PFD/ND) or stand alone dedicated displays mounted within the pilots primary scan or positioned for easy viewing within the cockpit. Karlene: I’m comfortable with the "display" part of the discussion, but will you tell me a little bit more about the infrared cameras, and why the IR application works in an airplane? Bob: Certainly. Infrared (IR) cameras based on non-cryogenically cooled microbolometers are the sensors of choice for EVS use. They are small, light weight, reliable, affordable; and, most important, they satisfy current operational requirements and needs. These EVS IR cameras detect extremely small thermal (temperature) differences within their fields of view, creating an image that looks very similar to standard black and white video. But unlike video cameras, IR detectors work even in the absence of visible light, making them ideal sensors during periods of darkness or restricted visibility. The specific type and wavelength of IR sensor used in the Max-Viz EVS has been optimized for maximum penetration through atmospheric obscurants and restrictions to visibility. Karlene: Specific type and wavelength— does that make a difference to the application? 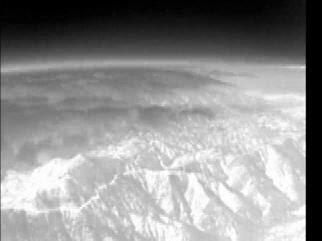 Bob: Yes, the long-wave IR sensor in Max-Viz products are selected specifically for their superior ability to image real world features such as terrain and obstacles / clouds with its many variations in thermal composition. IR sensors effectively allow the aircrew to “see” beyond the visible, which helps detect potentially hazardous conditions. Terrain features, and significant details are recognizable at night, through the scud, or other visibility restrictions when they would otherwise not be visible and they can be “seen” at considerably greater distances when compared to normal unaided vision. 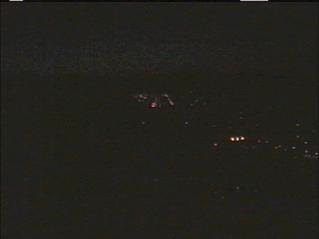 Same place / time shots with a very high resolution witness camera. Karlene: Can you actually see through the clouds with Max-Viz? Bob: EVS is not a crystal ball, and imaging through clouds is not possible because of the limitations of physics (much like that of the naked eye). That specific limitation, however, creates a capability within the system. If a sensor cannot penetrate a cloud, it can be imaged (appearing in the display like a cloud) and avoided. Since Inadvertent Flight into Instrument Meteorological Conditions (IIMC) is the principal cause or initiator of CFIT occurrences that see and avoid capability becomes a significant attribute of EVS. Karlene: This is fascinating. So where would you say the EVS system is most effective? Bob: EVS is especially effective at night and in blowing sand, dust, smog, smoke, and haze where IR effectively turns night into day. IR can also provide significant improvements over the visible in mist, rain, snow and fog. Karlene: I have had a little experience with the HUD, Heads Up Display, but this product almost sounds like it operates like a HUD. Is that correct? Bob: Not exactly. EVS is designed principally as a Heads Down Display (HDD) device rather than being presented on a Heads Up Display (HUD). As such, the system is principally and foremost designed as a safety tool rather than a mission enhancement device. Bob: Let’s think about a tool ... EVS in this case... that supports operations conducted right now. EVS doesn’t allow operations into areas where you can’t see. The decisions you make are still based on what you see outside the windscreen. Let’s compare EVS with Night Vision Goggles (NVG), both are enhancements to terrain recognition except when the NVG’s are worn like small binoculars over the eyes, that new “visual reality” is what the pilot is basing go / no-go decisions on. In the same instance operating with only the naked eye and EVS, once the visual cues (at night) are not present (normally dim terrain features or surface lights), the mission is not extended because even though the EVS may present the forward imagery very clearly, the operational decisions are made by what is seen with the naked eye. I present this comparison using the term “previously unrecognized risk." 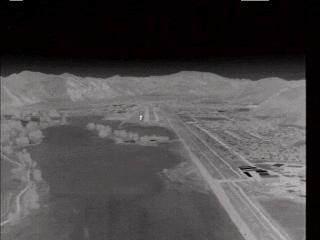 In this example, when a pilot or crew continues using NVG’s into a region that necessitates their use, they are “betting” that those same conditions will remain intact until they reach conditions where visual recognition can occur without those enabling devices. That is one of the more pronounced differences, and has adversely affected any number of pilots / crews... me included, when all of a sudden either atmospherics or lack or required light result in a sudden and unpredicted failure of the NVG’s in an area where they are absolutely necessary. Karlene: But the benefits of EVS are many—Improved situational awareness at night or during periods of reduced visibility. Efficient visual arrival operations with fewer delays. Improved visual detection of ground hazards, with the ability to ensure that the runway/landing zone and touchdown area are clear. Improved ability to avoid inadvertent flight into IMC with the ability to see terrain features and hazards during takeoff, climb, descent, approach, and landing or low altitude maneuvering. Did I miss anything? Bob: You summed up the strengths well. One additional benefit of EVS is that it provides an independent visual verification during an instrument approach. I think one of the most profound benefits of EVS is the quantum reduction in stress during periods where even a slight glimpse of terrain or the environment can make a world of difference to a single pilot or flight crew. Karlene: We know that two sets of eyes are better than one in the flight deck, and especially on approach. Is the system difficult to learn, and can it be installed in any aircraft? Bob: The system requires no mandatory initial and recurrent training outside of how to physically operate the system. EVS is also compatible with current cockpit technologies, operational philosophies and established procedures, and is readily adaptable to multiple aircraft cockpit configurations. No special EVS checks or data inputs are required. Interpretation is straight forward due to IR image similarities with standard video. Karlene: If you could give advice to anyone for improved safety, what would that be? Bob: Without a doubt, improving situational awareness is our best defense against accidents. Karlene: You couldn't have said that better. Thank you very much for taking your time to share an exceptional product with our viewers. And for giving your life to creating a safer flying environment. For anyone who would like to contact Bob, you can email him at bob.yerex@maz-viz.com. If you have any questions for this amazing piece of equipment please ask. We can all benefit from your questions. Rather than answering a question today, I’d like to pose one. What is the common underlying process putting pilot at risk for strokes, heart attacks, and diabetes? Airplane food? Time zone changes? High altitude radiation? Prolonged sitting? Genetics? Rotten customers? Close. All of these challenges stress our bodies. However, there's something more basic involved. Here's a hint: I recently attended a seminar sponsored by the Cleveland Heart Labs titled, “Where Inflammation Meets Lipids.” If you said inflammation, congratulations! You are one of a small percentage who understands what causes our arteries to become damaged and vulnerable to plaque buildup. The Cleveland Heart Lab, along with a number of other outstanding research centers, is on the forefront of defining new biomarkers, which helps us recognize when arteries are inflamed and at risk. Without inflammation, it's harder for disease to occur. Certain biomarkers are currently available. Unfortunately, a number of them are not part of “the standard of care” for assessing cardiovascular disease. Insurance companies might not cover them or doctors might believe they are not necessary. Living by the standard of care paradigm often explains why people who appear fit can have a sudden heart attack or stroke when they least expect it. We’ve all heard about “healthy” women and men, who’ve had a complete physical or stress test, told they have excellent performance with terrific cholesterol levels and then wham, they're in the hospital having a stent or bypass or rehab. Scary stuff! A coronary or brain artery can have adequate flow even with a significant quantity of plaque. Unlike a fuel line, it takes at least 70% to 80% blockage of a coronary artery before a person will feel the effects, such as exertional shortness of breath, fatigue or chest pain with exercise. However, if inflammation is present even in a small sized plaque, say “only” 20% to 50% of the vessel’s diameter, the plaque can rupture, like a little volcano into the artery, leading to a sudden clot and complete blockage. No warning. Boom. In fact, HALF these people have been told their unhealthy LDL cholesterol was in a good range! Click HERE and HERE to see brief videos of this process. If FIFTY percent of all heart attacks present with normal LDL cholesterol levels, which has been the standard of care for the past decade, something else must be going on. More recently, the news has touted healthy HDL cholesterol levels with the pharmaceutical industry pouring big bucks into creating a super HDL boosting medication with some success. Yet we don’t want to count on another medication to fix a problem after the fact. By the time plaque has developed and become inflamed, it's a snowball destined to get bigger and possibly rupture. Can this be prevented? Absolutely and it will take a shift in our thinking to do so. We must uncover the presence of disease and inflammation and base our evaluations on the individual, not big population studies, since we are all different. Two leaders in their field I have been fortunate to study with have proven it can be done. Brad Bales, MD and Amy Doneen, ARNP, run the Heart and Stroke Prevention Clinic in Spokane, WA, and Lubbock, TX. They have developed the Bales/Doneen method with results so far ahead of anyone else, they teach and lecture both nationally and internationally. Their nearly 100% success rate in preventing heart and stroke attacks are numbers that are unheard of in cardiology offices!! Imagine how many stents and bypasses could be prevented. Imagine how this could reverse the growing health care debt! Yes, it is a preventable and stoppable process, probably even reversible and that’s the message. Next time you talk to your doctor, tell them you want to know if you have 1) evidence of disease and 2) evidence of vascular inflammation. Be prepared for resistance, and if you don’t get the answers you are seeking, find someone who will work with you to give you the BEST chance of never having something that can curtail your flying career! It was to my attention that ASA/X-jet and the University of North Dakota (UND) have announced a new Delta “track” program. From what I understand, this is a non-binding program where a UND student goes through the ASA interview process while still in school. Upon successful completion of this process, the student must instruct at UND for 500 hours but will then get a class at ASA/X-Jet. The question that came my way was… what should I do? To get 500 hours of instruction it will take at least 8 months after graduation. I could go to ASA, or if by the time I graduate, if regionals are getting desperate I could probably go to Mesaba at that point or by the end of the summer. Although I heard recently Delta hasn’t been hiring Mesaba guys cause they don’t want to eat up their own regional-although I could see that happening with ASA too possibly? So I could get on with a regional quicker, but wouldn’t be guaranteed an interview with Delta. I would love to fly for Delta, but they are not the only majors I would consider. United, American, Southwest, Jetblue, Hawaiian, Alaska-pretty much anyone. So my question is if you were in my shoes what would you do? I want to get to a major as quickly as possible, preferably Delta, but it doesn’t have to be Delta. What do you think the best option is? There is a lot of thought going on here and many options. But I’m going to add a few comments that will hope help you make a decision. Your last statement… “This seems to be a good program, however…” Your “however” is most accurate on all accounts… except for the last. I’m curious who said, “If you want to be a Delta pilot it will take longer and be more difficult if you don’t go through this program.” UND? ASA? I can’t imagine Delta taking that stance. Airlines want qualified, experienced, dedicated pilots, not those looking into getting on quicker via a short-cut. I also can't imagine any airline accepting a 500-hour instructor pilot over a 5000-hour line pilot, so I'm not sure that it would be more difficult to get an interview if you don't go this route. Note: A “competitive” pilot at the last round of Delta interviews had an average of 7000 hours. Will this program make you competitive with those hours and experience? That "competitive" word sounds like an out clause for not granting an interview. 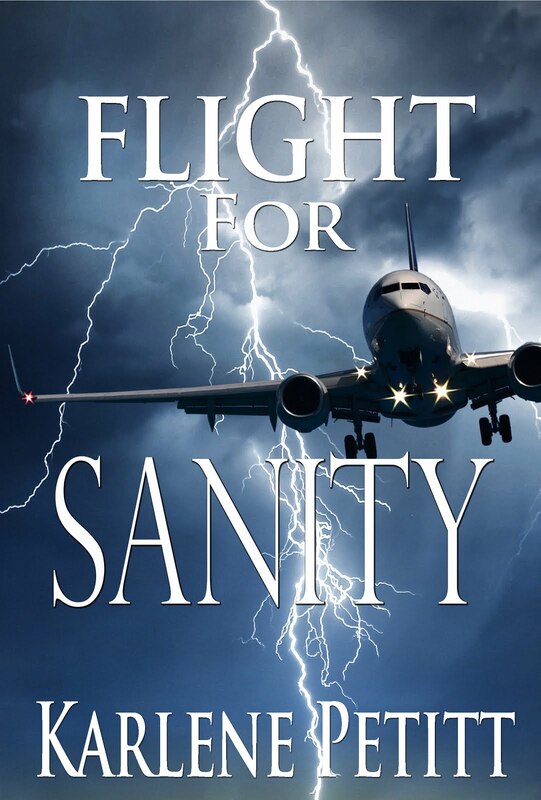 There will be a pilot shortage, and you won't need those 7000 thousand hours in the future. But next year? There's a lot of experience out there looking for jobs right now. And while I know you’re trying to get to the airline the shortest route possible, I think the best way to get to your airline job is with flying experience. Graduating from UND, with your training, you’ll have everything you need but experience. Make yourself qualified, get your experience, and you will get an interview with one of your favorite airlines. The ASA instructor spot may enable you a step up going into the commuter world, but you'll still need hours. What I witnessed at NWA with their instructors being offered flying spots… they got into training and it became their job and they didn’t have time to build their flight time. And later the rules changed and there was no flow-up. Personally I can’t see the instructing route for 500-hours a fast track. Flying experience is. But instructing would be great experience. If you do it for experience… you’ll learn a ton… and the value will be there. That experience may come in use many years down the runway. No experience gained in this industry is ever a loss. For all of you who've been there, done that, and want to chime into this decision making process, we would love to hear from you. Thanks! Today is a difficult post to share because this is the ultimate adversity— Losing lives of your friends who shared your passion. Knowing that they will never live the dream that you all set out to follow, and the realization it could have been you. My friend, Ramiel Migue, contacted me to share his story or loss and his challenge with his feelings as the first year anniversary approaches. How do you move forward? Thursday there was a fatal accident in Yellowknife where a few of Ramiels’ friends had worked and some of which are working in the area. Click HERE to read that story. While Ramiel had never worked for the company himself, and he didn’t have any personal connections with the pilots or their families, but he did have close friends that have worked then and he came close to interviewing for an intern position. But the real reason this accident is haunting Ramiel is because it’s brought back the horrific accident that occurred at his flight school less than a year ago. Last November, one of our Beechcraft Bonanzas was on a training flight at night, for IFR training. They were conducting the flight VFR but this was always under radar environment so they were talking to Centers and Towers. Several minutes into the flight, they could see weather building up along the way and decided to terminate the flight and cut it short. They turned around and asked for an RNAV (GNSS) approach back to our home base airport. That was the last radio exchange they had, and the last words of the instructor were "standby for SCZ". After several attempts to get them back on radio, they lost radar contact and later on advised authorities to conduct a search. It wasn't long till they find the wreckage of the crash. 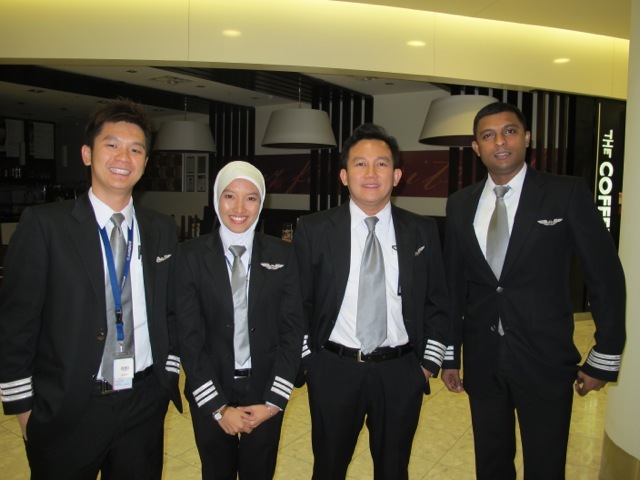 One instructor (Aziz) whom just graduated in 2008, and two students, one female (Cynthia) and one male (Lloyd), who were to graduate in 2012 were on board. They were all pronounced dead at the scene. Later on, we learned that the aircraft started a climb and turn to the right, which was the last radar sweep. Just to give context, I have graduated recently, 2011…even though I still got a bit of the training left to do. The news report and video coverage of the site, and one video looks very disturbing, as there are little signs that the wreckage was once an airplane. Click HERE to read. That's the technical side of it. The harder part was all three crewmembers I knew very well. Aziz was 26 year old and Cynthia was 20 years old, both of which I have just flown in the same type of airplane flying the same route, except in day clear VFR weather just two days prior. Lloyd, who was also 20 years old, I had known for a couple of years as well and had lessons together in that past. What was even more discomforting to me that night was the great chance and probability that it could have been me in there instead of Lloyd. See, the lessons we conducted two days prior was for one person (me) to do an IFR cross country to an airport and Cynthia conduct several ILS approaches at that same airport, and me again to fly back. The next flight would have been to do exactly that, but switch up the lessons. 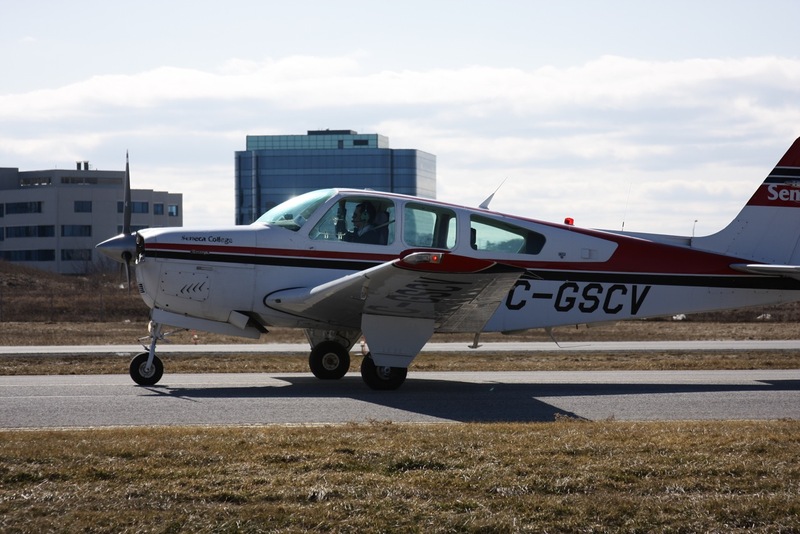 However, due to some scheduling problems and classes, Aziz decided that he would take Cynthia and Lloyd, so she can do her cross country lesson and Lloyd do his ILS lesson that night, then on the weekend I do my ILS lesson while Lloyd does his cross country. All of this was because I had a class that would have ended too late to get up and do the lessons in time. However, I didn't even get to class that night because the professor was only giving back assignments, and so I could have told Aziz to get me to fly instead but I didn't. That night I checked my email and saw that our chief instructor canceled all flying and academics for the next day. I wondered why, and thought this would only be because of something serious. So the first thing I did was to text message Cynthia because I knew they were in at the airport that night. After messaging others afterwards, I found out that it was their airplane that went down. I couldn't believe it, and it was until now and will be for a long time the worst feeling I have ever felt. My heart sank and it was hard for me to breathe normally. Earlier that year, summer 2010, another graduate from our school just in 2009 actually, was killed after dropping a banner in his first flying job right at our airport. That site was right on the departure end of one of the runways just slightly further, in a parking lot. At times I would get chills down my spine whenever I would take off or drive by and see that spot. I don't really know how I dealt with it. I just stuck with my friends. We were offered counselors to talk to. I cried a lot as you can probably imagine. We had 3 funerals and one memorial service within 8 days following the accident. Somehow it brought our flight school and even the alumni closer together. For a long time I replayed over and over in my mind what they had gone through. What was going through in their minds? Did they see the ground coming? And then there was a long string of days thinking about the what ifs. Even though I knew deep down that it was unhealthy. I couldn't help myself sometimes… I was torn between looking at the technical aspects of the accident and try and figure out what had caused it, and mourning the loss of 3 friends prematurely taken from us. During the funerals, it helped me realize that life is fragile and throughout the days afterwards, I saw how great an outlook on life each of them had. I could not remember a time where they weren't smiling. And it was natural for them, so caring and so genuine. I have used their lives to power mine, to look at everything and appreciate it for what it is. To cherish every moment. And every time there's an accident, which even remotely connected to me, or people I know, it gets to me. At times I'd start questioning the life I chose but I don't see myself doing anything else but flying airplanes, it's such a dangerous passion we take up. For final thought, I guess these things help shape our character and make us stronger, even if sometimes we fall weak to our emotions. I just wanted to know how others have dealt with tragedies or if you have had anything like this in your career/life. While this is no longer Ramiel’s current blogs site, you can click HERE to read the post he wrote during that time. Ramiel, Thank you for sharing this story, and you’re right—it is everyone’s story. Every time there is another accident, you will remember your friends’ crash, and it will always get to you. Use that time to remember the people they were, not how they ended life. Remember they were doing what they love. A dangerous passion? Perhaps. But so many more accidents occur on the ground than in the air. When you ask yourself what prevented you from being in that plane at that time, tell yourself —Life. You have something remarkable to do, and it wasn’t your time. Keep cherishing every moment, because you’re right— life is short. When you read Thursday’s post, you’ll have yet another thought of… if only. We can’t go back, but we can learn from the future. What ifs are okay if they propel you forward. If anyone can help Ramiel live through this challenging time, and the upcoming anniversary of his friends’ deaths, please leave him a message. I know he will appreciate it. Please all click HERE to read more about Aziz, Cynthia and Lloyd. Imagine growing up in Michigan when your father is a pilot for the Ford Motor Company, and you and your brother, at the ages of six and eight, have the opportunity to go flying with Dad in Vintage WWII aircraft to deliver freight for the auto industry on weekends. 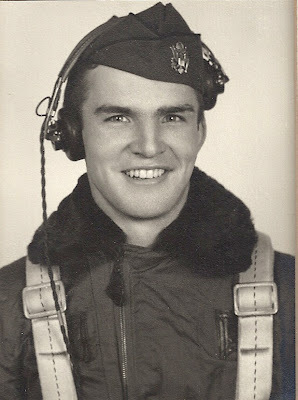 It’s hard not to believe that Bob didn’t absorb his father’s passion for aviation. Working in and around the cargo operations, he and his brother worked as the ground crew for a hot air balloon owner and I think their faces are on a jail wall somewhere in Southern Michigan for the night their balloon danced with power lines. Apparently the local Sheriff had no sense of humor so they had a visit behind bars one afternoon. Who would know that one day he'd be dining with Bob Hoover. “We also tried our hands at sailplanes and float planes, and turned the occasional wrench on one aircraft or another throughout our school years.” Then it was time to graduate and go to work. Prior to his 18th birthday, in 1977, Bob joined the Marines and spent six years in the Marine Corps in various locations around the country, and overseas on the USS Midway in and around Southeast Asia as a structural mechanic. His passion for aviation pointed him down runway and he applied for the Warrant Officer Flight Program with the U.S. Army. After completing helicopter flight school he went on a four-year tour with the Army in Germany from 1983-1987. But his desire to fly and lead as an officer took him down, yet, another path and he applied for an inter-service transfer to the U.S. Coast Guard. That’s when tragic news traveled across the Atlantic Ocean. During the application process, Bob’s father, who had retired early from Ford, was flying a light passenger twin, a Cessna 402, empty to pick up passengers at Marsh Harbor in the Bahamas. He crashed somewhere between Freeport and Marsh Harbor. 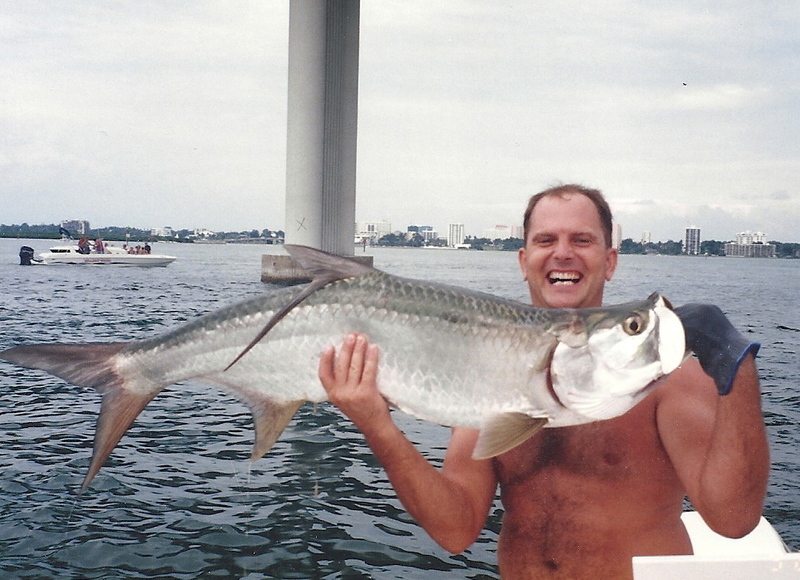 Last time Bob and his dad flew together on a visit from Europe to Florida in 1996. Bob returned from Germany to join the search, and in both fixed wing and rotary aircraft he searched, and searched. At one point in the search operations, Bob actually flew up to Washington D.C. to complete his formal interview with the Coast Guard… which put him on two separate floors, one to interview, and another where he had some “very active” discussions with the head of search operations in the Coast Guard. They never located any sign of the wreckage, and Bob never saw his father again. 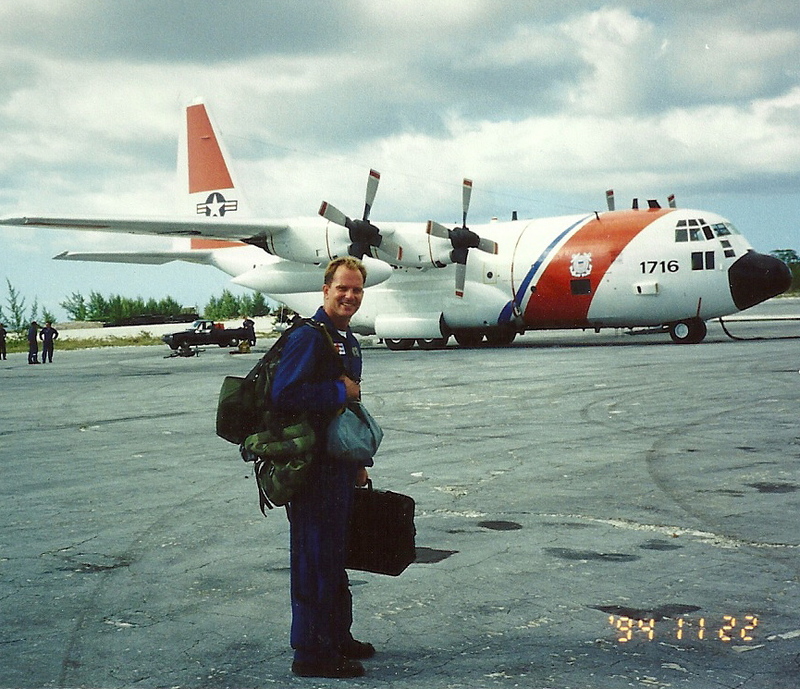 Bob subsequently joined the Coast Guard in the fall of 1987 where he flew the HH-3F (Sikorsky S-61) and HH-60J (Maritime versions of the H-60 helicopter) for the ensuing fourteen years, with tours in Traverse City, MI, Kodiak, AK, Clearwater, Florida, until he retired in 2001 in Sitka, Alaska. After his extensive military career it was time to fly in the civilian world. For all the bad there is good and Bob had the opportunity to go fishing... The following photos were taken while he worked in Sitka, but I'm sure he fished during his furlough. I would. 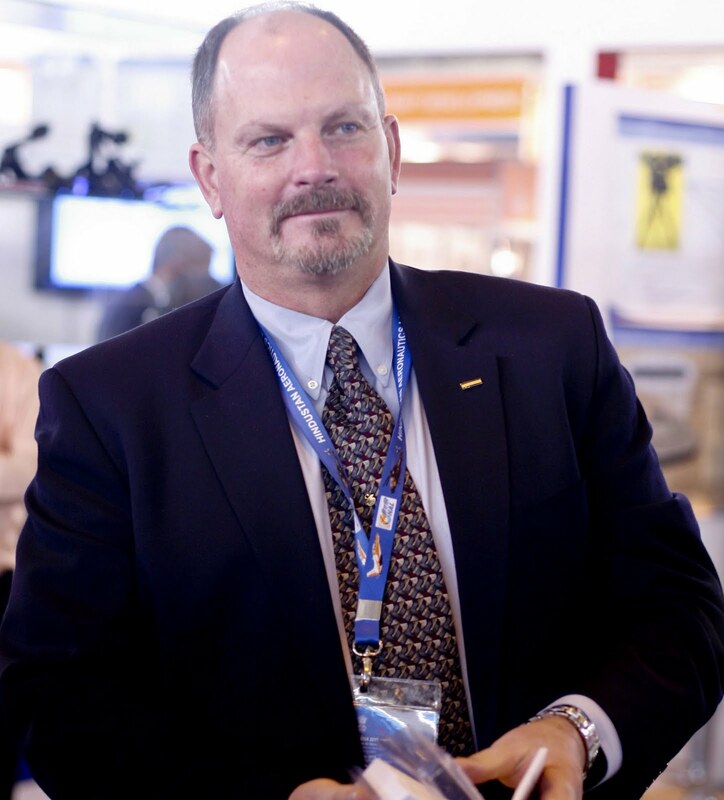 “I was responsible for working as a liaison between the medical and vendor side of the program and Agusta Aerospace Corporation (the American subsidiary of Agusta, Italy) to develop a next generation single pilot IFR cockpit. The company he was working for had two accidents in one month, one of which fatal and crashed into Puget Sound in IMC. This was third in a line of accidents that would impact his life. Bob is now the Vice President of Sales and Marketing for Max-Viz, and resides and works in Gig Harbor, WA with his wife of fourteen years, Jan, and their two daughters ages eight and eleven-years old. He couldn’t be in a better place to enjoy his passions beyond aviation safety. So the answer to the question as to why he moved to the Northwest is obvious. 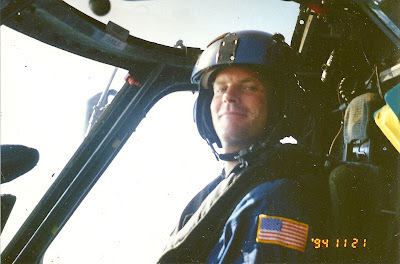 “My job has me travelling to just about every continent, interfacing with both fixed and rotary wing OEM’s, Avionics OEM, major programs in corporate, Part 121 and 135 as well as military and special operations activities. 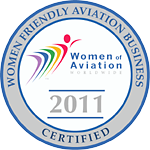 I work cooperatively with both the FAA (and the international counterparts) and have actively participated on numerous U.S. Federal and International Governmental subcommittees. I act as principal program manager for most all of our current generation STC’s to include aircraft from single engine Cessna’s up to and including cabin class wide body corporate business jets and twin turbine helicopters. I live on a soapbox for safety with Enhanced Vision Systems at the core. Enhanced Vision presents an amazing ability to promote safety through enhanced situational awareness, a visual orientation on the natural environment not possible with any other existing technology. We often wonder how tragedy can shift lives for the better. But as I share Bob’s story with you, it’s apparent that three significant events in his life all pointed him in the direction he needed to be. His passion for safety is authentic, and I’m excited to learn more about Max-Viz from the expert. From what I’ve seen so far—Max-Viz will improve aviation safety. Bob promises me that he’ll give me all the details about Max-Viz next Thursday. If you have any questions or comments for Bob, I know he would appreciate them. Thank you Bob for sharing your inspirational story. 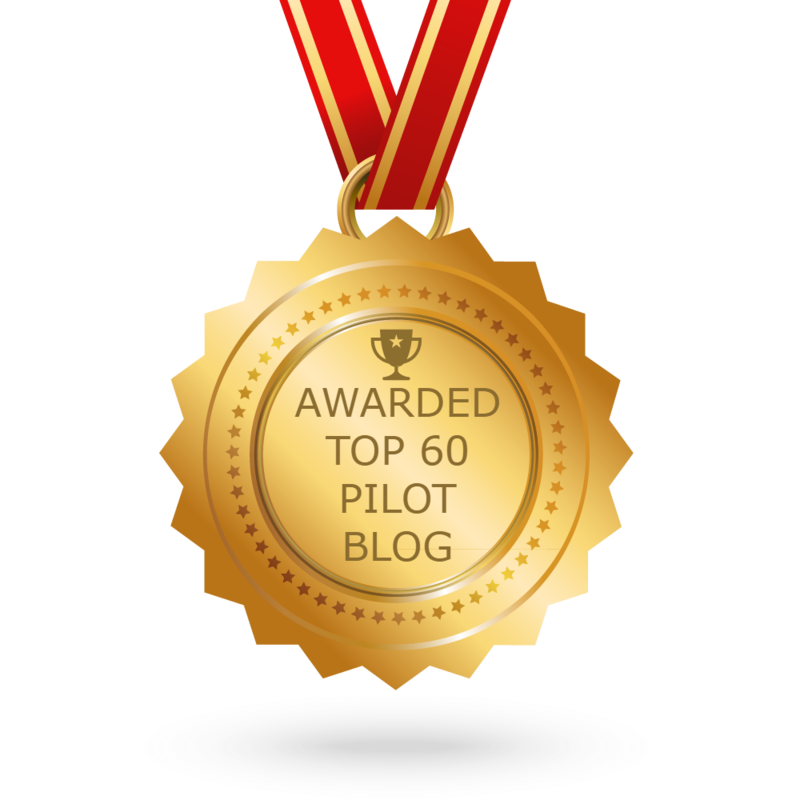 Stephanie, my neighbor down south, asked me if she could write something on my blog about becoming a pilot. But of course! Especially when it's all about helping pilots achieve their dreams. The real question is... how do you know if you're destined to be a pilot? Stephanie has the answer. 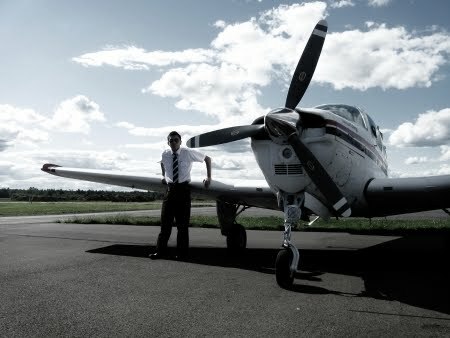 Becoming a pilot involves more than just getting into an aircraft. It takes a lot of hard work to learn the information and skills necessary to become a good pilot, not to mention all the hours that must be logged in airplane or helicopter flight training before becoming certified. Enjoy flying: This may seem like a no-brainer, but potential pilots should consider the question carefully. With flying comes circumstances that make many people uncomfortable: turbulence and bad weather, to name a few. Of course along with the bad comes the good: a feeling of independence, freedom and excitement. If you love flying and your stomach can handle being in a few uneasy situations, you may be destined to be a pilot. Understand flight mechanics: While it’s not necessary to have a Ph.D. in chemistry to become a successful pilot, many pilots are scientifically-minded—at least enough to understand how airplanes, helicopters and their instruments work and how weather and air currents can affect an aircraft. If you can do this, you may be destined to be a pilot. Solve problems: A good pilot will need to have sharp problem-solving skills. He or she must have the ability to read and interpret signals and messages from the airplane or helicopter and from people. 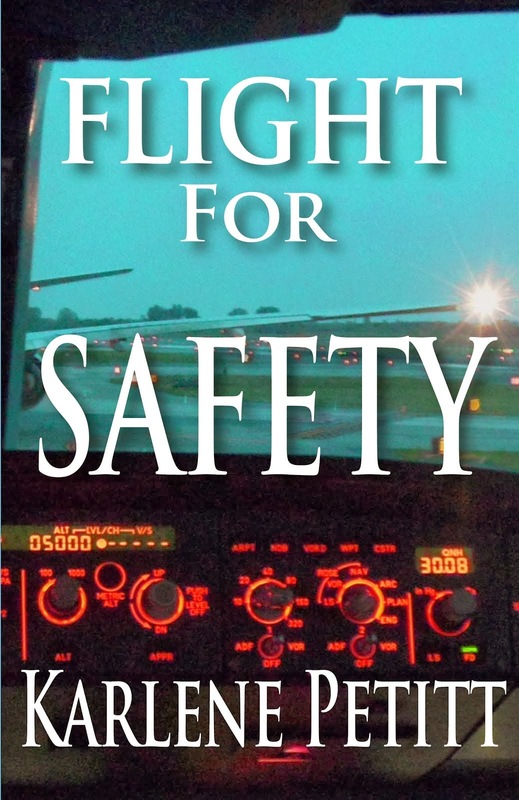 A pilot may also have to deal with emergency situations and act quickly to solve crises. If this sounds like you, you may be destined to be a pilot. Good people skills: Whether flying commercial jets, single-engine aircraft or helicopters, pilots are people managers. An airline pilot will interface with crew, airport staff and air traffic control. He or she is responsible for the safety of the flight and for making sure the airplane takes off on time. No matter whether it’s just one person depending on a pilot or one hundred, it’s important that he or she be able to communicate with others effectively. If you enjoy being around people, you could be destined to be a pilot. Curiosity and independence: The life of a pilot, whether he or she makes a career out of it or not, is often unpredictable and varied. The hours are often unusual and the destinations can vary from the next city over to halfway around the world. If you love travel and adventure, you may be destined to be a pilot. 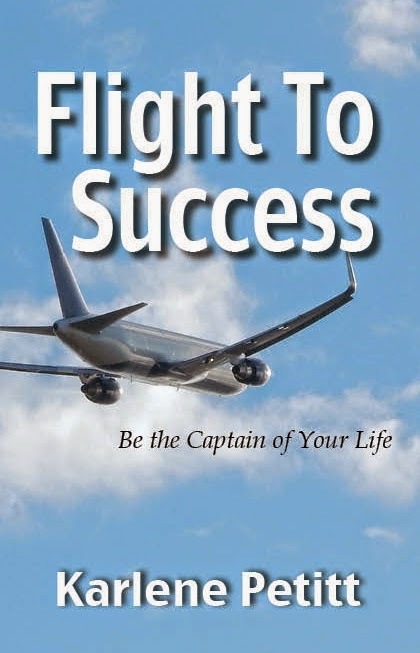 No matter what, if you are determined to be a pilot, don’t give up on your dream. It may not be easy, but if you are destined to be a pilot, it will most definitely be worth it. 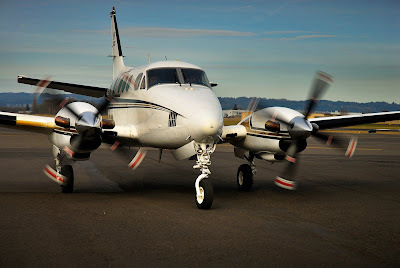 Post provided by Hillsboro Aviation. 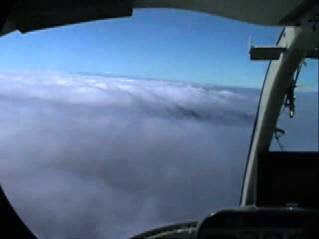 For more information about becoming a pilot and helicopter courses visit Hillsboro Aviation. You won't know if you love it, unless you do it. Take that first flight and get in a plane. If you have passion, we can teach you how to fly. I decided to take that journey because I was told I couldn't. (See that story HERE) But I continued down the flight path for a career after I took my introductory flight, because I loved it! This is why I'm involved with Women Of Aviation... where we open the doors and give women and girls free flights for a week in March. 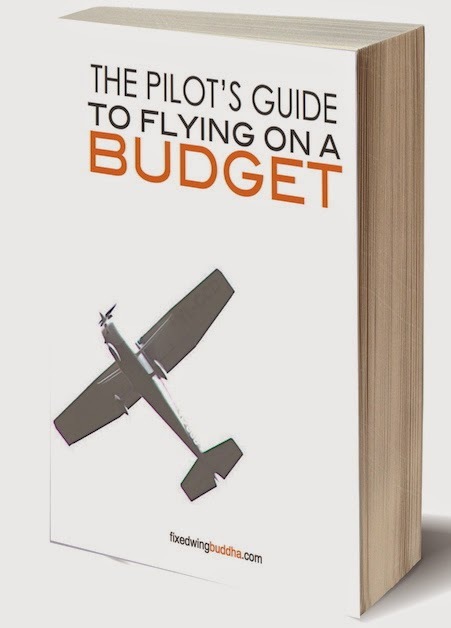 If you're interested in a free flight ... anywhere in the world... sign up to follow my blog, leave me a message here and tell me what state and country you live in, and we will make that happen. Guys... you can become involved too. Your support of an event can lead to a free ride! 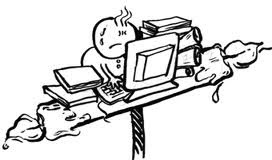 Due to technical difficulties with Dr. Larry burning his candle at both ends we'll see him back here next week! 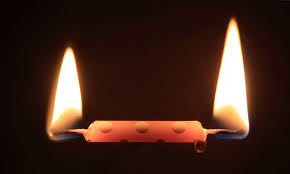 For those of you, like myself, who do this same candle burning technique... we all understand. Dr. Larry will return next week. Dr. Karlene... Ph.D. in life. Actually, a little bit of information about myself and health. I started my Ph.D. in Holistic nutrition with plans of becoming a Doctor of Natural Health. Unfortunately this turned out not to be a good time to embrace such an undertaking ... NWA was filing bankruptcy, two daughters in college with the third getting ready to go, and we were in the process of selling our home... I put that degree on hold and ended up earning a Ph.D. in Life instead. But I've never stopped studying and learning about good health via the natural way. Yesterday I set my alarm for 5:30 and awoke to be part of Round Table discussion on shift work and the ramifications that crazy sleep schedules has our health. WakeupSquad.com is a new site discussing sleep issues. You can click to the link above and Sign up for a free Shift Work Disorder (SWD) Self-Assessment Tool that you can share with your doctor. The Wake-up Squad will also send you some helpful information about SWD. Not until I joined this discussion did I realize that pilots are shift workers. Not only pilots, but authors and students are shift workers too! International flying has a unique dilemma all its own. We lose days of sleep every month. For those of us who need "more" days in your life, this becomes a challenge. I was assigned an 11-day trip for next month. From the time I depart to the day I return I will be in a hotel "7" nights. The last day, I'll be able to sleep in my own bed. However, that still leaves me sleeping 8 out of 11 days. I'm losing "3" nights of sleep! How can that be? It's a reality. This is a dilemma of the airline industry. How do we fix it? Since de-regulation it's infeasible for the airlines to schedule flights with crew fatigue in mind. They make an effort by teaching us how to nap on the planes during our required crew rest. But how many of you can nap 4 hours after you've awoken for your day in a noisy environment? Sleep problems are not uncommon to writers either. I have many writer friends who are working a regular job, and/or raising a family. Their writing time occurs during the middle of the night when their family sleeps or they're not working their real jobs. What about students who stay up all night to cram for an exam or study flying on the side while their life is going on full speed ahead face sleep issues? Normally you have youth on your side, but the impact is the same. Flying, Writing, Driving, Living... Drunk? Studies show that being awake for 17 hours is equivalent to a .05% alcohol level. I wonder what the equivalence is for being awake 34 hours. Does anyone know? Last week Dr. Larry addressed SLEEP issues with medical interventions. I wrote a few things that work for me in Flying Drunk and now the Wake Up Squad is on the team. Sleep is a challenge to everyone and the Wake Up Squad is on it. Please leave me a message with what the Wake Up Squad can do for you! I'll pass the information on during our next meeting. If you have the sleep thing mastered, we would love to hear from you. If you have any ideas on how the airline industry can solve their unique dilemma, please share them here. We all know that we need sleep. We all make excuses of why tomorrow we'll get it. The real question is how do we make ourselves sleep when we have so many balls in the air and we fear they will fall if we take time to get that must needed rest. Knowing is one thing. Doing another. I am as guilty as everyone. There will be more to come on this serious issue. For now... check out a great shift work video by clicking Here They forgot to mention all our careers... but we are part of the 24/7 workforce. 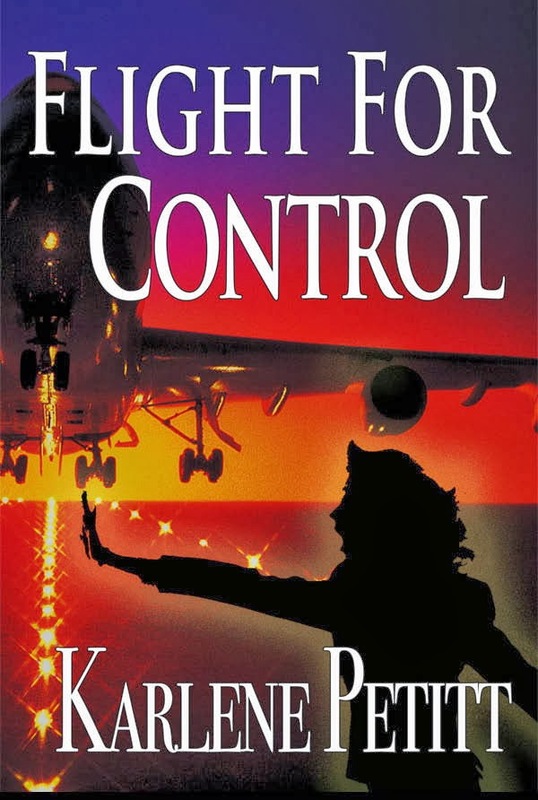 Now... on the lighter side... the photo above is what I'm considering of putting on my book, Flight For Control. What do you think?